Sharib Khan is a Biomedical Informatics Entrepreneur, who combines his passion for the application of computers in healthcare, with his belief in startups as vehicles for change. As Co-founder and Product Lead at TrialX, he is responsible for developing and executing the product development vision. Sharib holds a Masters in Biomedical Informatics from Columbia University and an MD from the University of Medical Sciences, Delhi University. When not dabbling with technology, he can be found attending his yoga classes towards completing a two-year Iyengar Yoga Teacher Training Certification program. 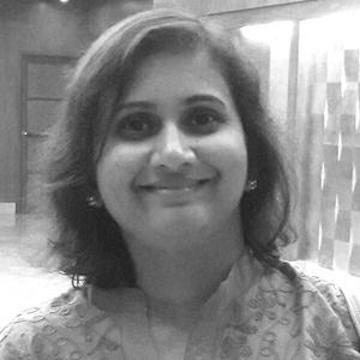 Priya is coordinating Appbakery – DIY Mobile Research Study platform at TrialX. She has a masters in Microbiology, degrees in Patent Law, Media Law, and certifications in Writing in Sciences from Stanford University and HR Management from IIM Bangalore, India. She is certified in inbound / email / content marketing from Hubspot Academy. She has extensive writing experience with a focus on patient engagement, mhealth, digital health, cancer research, nutrition, and alternative therapies and presents a varied view on healthcare and associated domains. She is a guest columnist at The Week where she writes about cancer. She tweets at cure_talk.